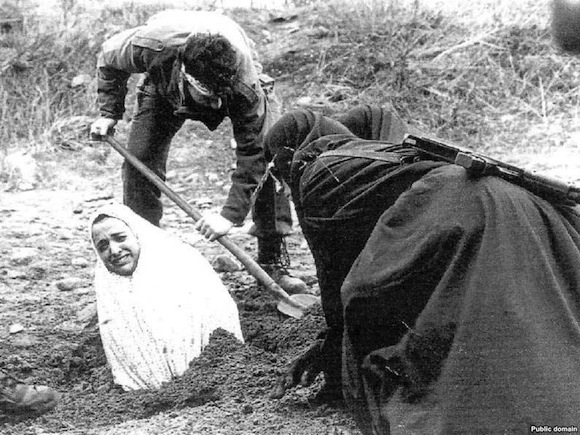 For those comparing the decision to Sharia Law… here’s what a REAL “war on women” looks like. There are a lot of folks who’d trade your worst day for their best. The law that was enforced by the court was the Religious Freedom Restoration Act. That law was written 2 decades ago in response to Oregon denying an American Indian unemployment benefits because he smoked peyote (a controlled substance) as a part of his religion. The owners of Hobby Lobby, the Greene family, exercised their right under that law to claim exemption based on religious belief. It doesn’t matter if you do or don’t approve of it… the law was enforced by the Supreme Court. This ruling does not force religious beliefs on anyone, nor deny birth control. Hobby Lobby provides 16 of 20 available birth control choices. Kathleen Sebellius decided that wasn’t enough, and though she’s NOT a lawmaker, changed the law to mandate they pay for ALL. This ruling simply stops the government from forcing something on the Greene’s. If it’s an issue, you do have a choice not to work at Hobby Lobby. Providing this because I’ve seen a LOT of misinformation hitting the airwaves. C’mon people, it isn’t that painful to actually read up on the topic before you post hair-on-fire nonsense all over the web. Show a little bit of brain.